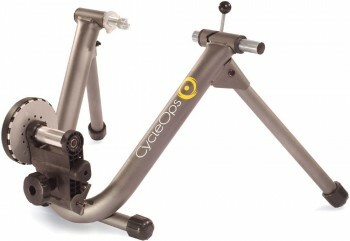 The CycleOps Classic Mag Turbo Trainer is one of the most popular magnetic cycle trainers around. It comes with five setting adjustments to suit all kinds of workout, warm up and training sessions. You can pick up an extensive range of accessories for this trainer including mats to on, bags to store it in through to riser blocks to raise the front wheel. The CycleOps Mag trainer has even been redesigned to deliver more resistance than older versions of this trainer. 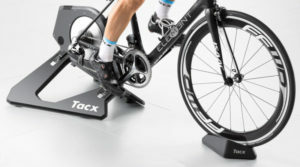 You have the choice of purchasing this unit with adjustment on the turbo trainer itself or with a remote manually operated lever for handlebar control. There is a version of the Mag called the Mag+ that comes with a handlebar mounted resistance level. The Mag+ costs about £15 more than the Mag. See the Mag+ here.